The Belgian CX Project (BCXP) is a route we, with the help of others are setting up to allow young cyclists to live, train and race in Belgium over the 2018/19 cyclo-cross season and beyond. We are Fin Robertson and Thomas Mein, two young cyclists from the North East of England who are hoping to become the first young riders to go to Belgium (the heartland of cyclo-cross) to race this first full season off our own backs. The intention is for us to gain valuable international experience, to further develop not only our own cycling aspirations, but also pave the way for others to follow in the future. During the 2016/17 winter season the we had a taste of success at the infamous Koppenbergcross. 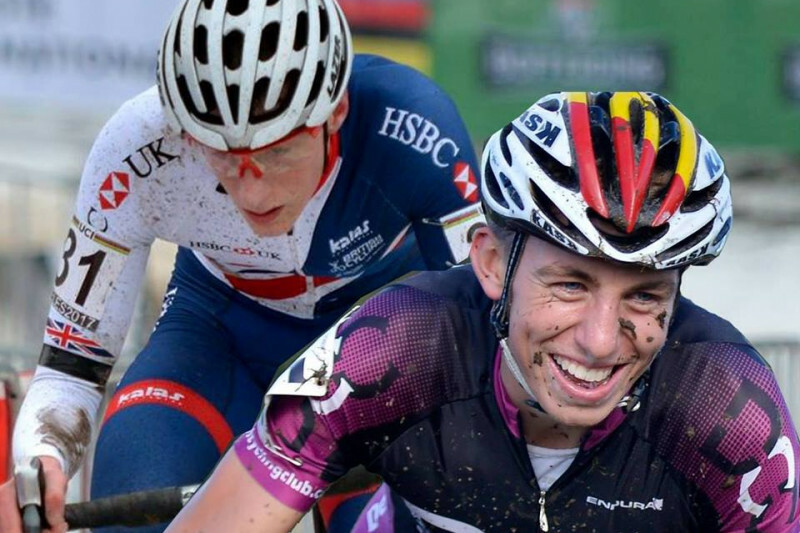 Thomas took his first international win as a junior at Koppenbergcross and he represented Great Britain on several occasions, including the World Championships in Luxembourg. Fin, racing as a first year Under 23 rider, raced his first world level Elite race and finished well within the top 45. The huge step up from being a junior was a difficult one, but this performance gave him the belief that he could compete at that level. These historic performances had a massive impact in the north east cyclo-cross scene and in particular gave hope to the younger riders that they too could aspire to reach the top too and we hope we can develop the Belgian CX Project to allow younger riders to follow the same path as ourselves. The funds donated will be put towards essentials such as accomodation, food, travel to and from races and race costs. Here's a little introduction video. We'll try and keep you updated over the coming months with our preperation and progress. Even if you can't afford to help us get to Belgium, please like & share our videos to help spread the word. You two are such an inspiration! Good luck. Keep up the good work hitters. enjoy the experience lads ! All the best. Hope you all have a cracking time.